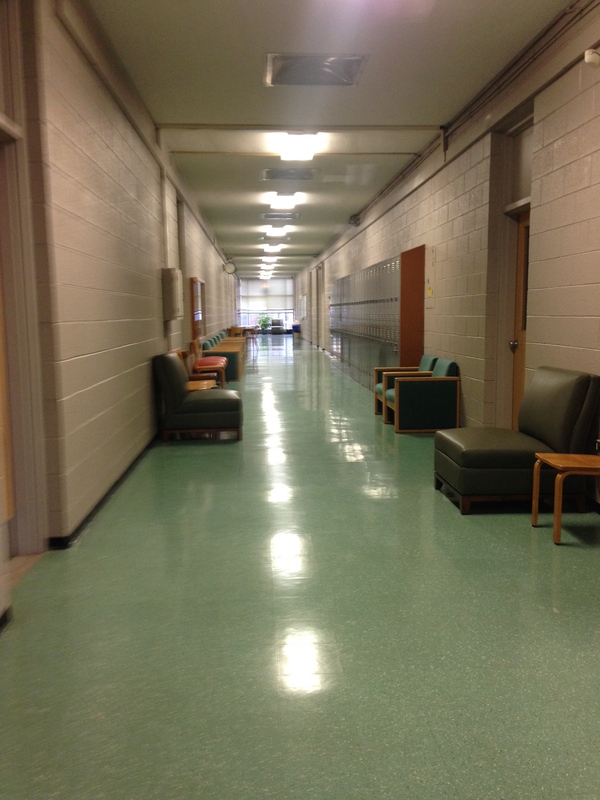 The nutrition building (as you can see) is a super old building on campus and has yet to be renovated. But I’ve grown to love the lack of air flow, bad lighting, unique tile floors, and tiny bathrooms. 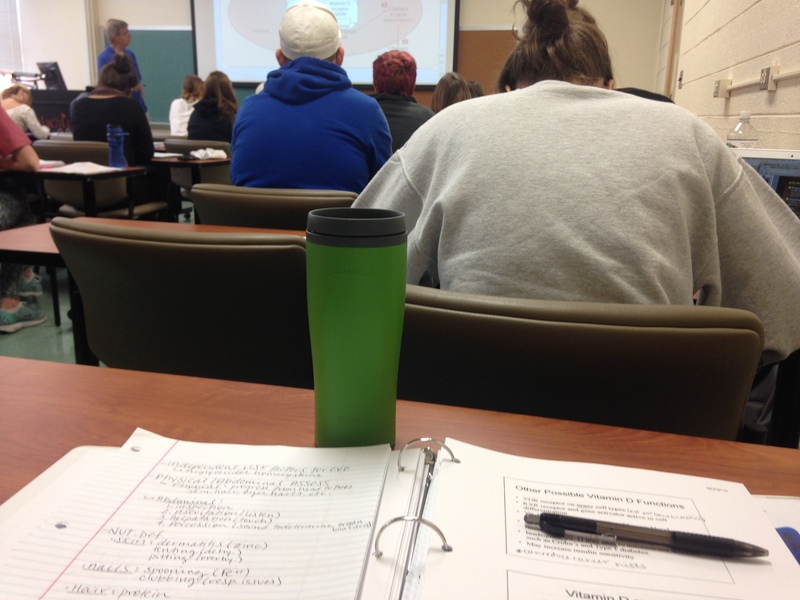 My first class of the day is Advanced Nutrition ll. We go in depth into every single vitamin and mineral. From dietary sources of the vitamin, to how it’s metabolized we learn it all! Today, we learned about vitamin D! My next class, Medical Nutrition Therapy is in the same room at 9:30. 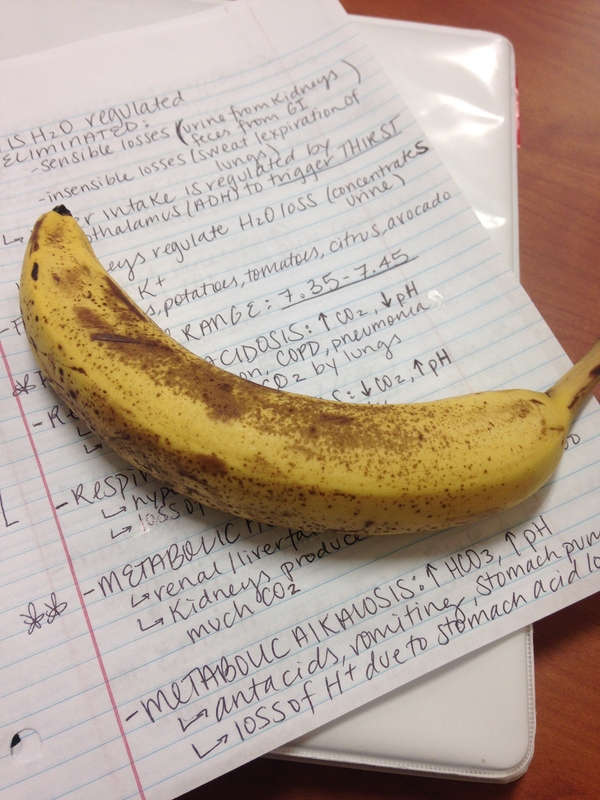 I used the few minutes before class to study for the test we were having, while eating a banana. In this class, we bring everything we’ve learned so far together and how we can use it to help patients. Today’s test was on nutrition assessments/diagnosis, acid-base balances, drug and nutrient interactions, and some other basic nutrition assessment information. 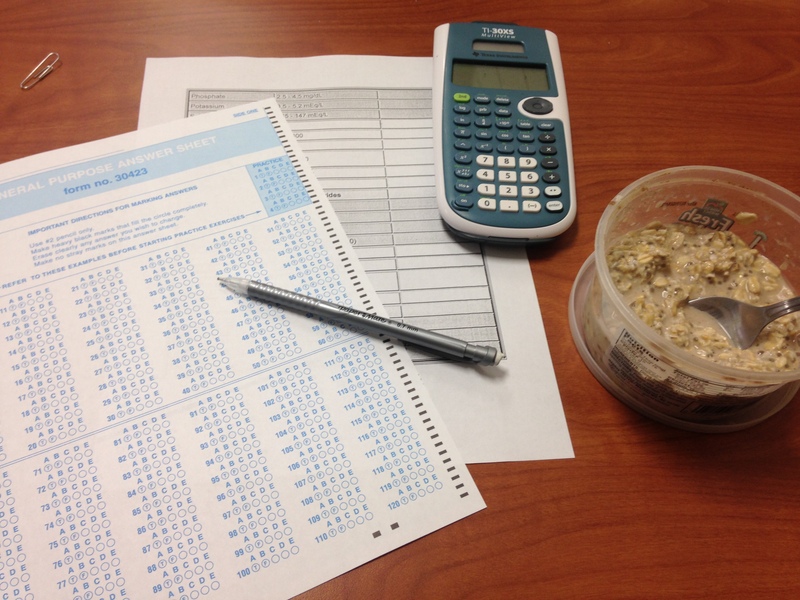 While taking the test, I ate some overnight oats that I made the night before. I just put oats, almond milk, molasses, chia seeds, and cinnamon together and let it sit overnight. Yummm! 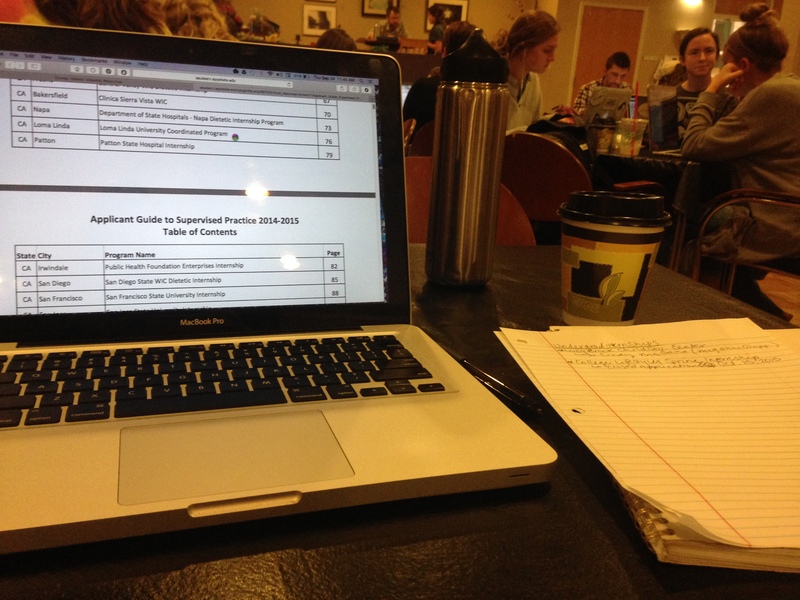 After the test, I headed to a coffee shop on campus to get some work done, and start researching dietetic internships! Dietetic internships are usually about one year long and are needed to be eligible to take the Registered Dietitian exam. Most undergraduate dietetics students hope to get into an internship, so they are pretty competitive. It takes tons of planning and the application process is pretty strenuous, so I’m trying to start early. I got another coffee (it was a long night of studying..) and also ate an apple while doing some research on different programs. I then headed back over to the nutrition building for a meeting with one of our professors to talk about potential dietetic internships. 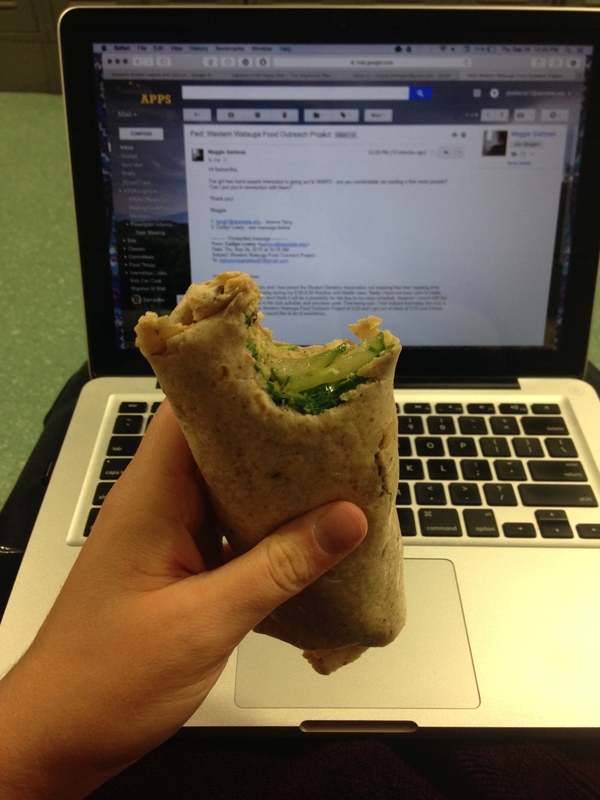 While I was waiting for our meeting time, I ate a wrap that I had packed (sprouts, cucumber, spinach, and hummus) while answering some e-mails. After my meeting, I headed back home for a quick snack and to relax for a few minutes. I usually have my nutrition counseling class at 12:30, but we are doing one-on-one counseling sessions this week, and mine isn’t until next week so I didn’t have to go! Wahoo! I love that class though, because it’s so cool to learn different counseling methods and ways to talk to clients. 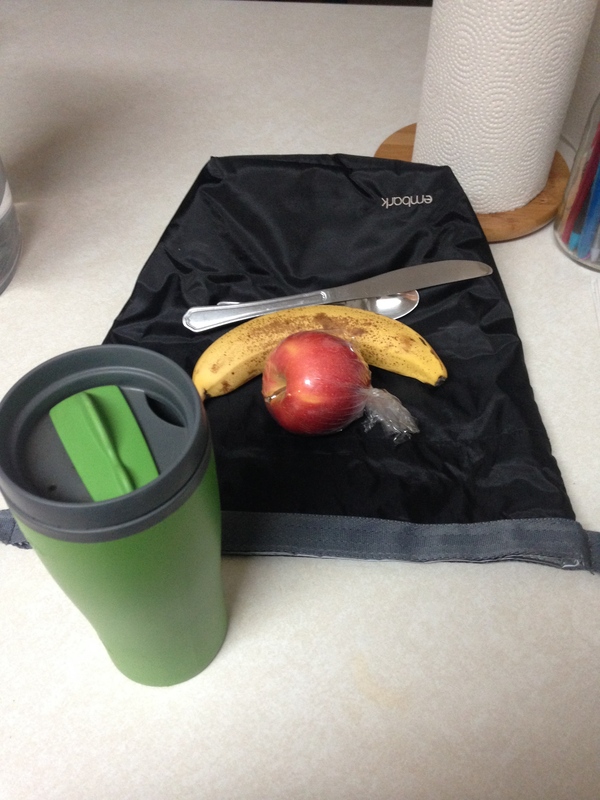 Once I got home, I washed up all my dishes from the morning and my lunch box, and made a green smoothie! 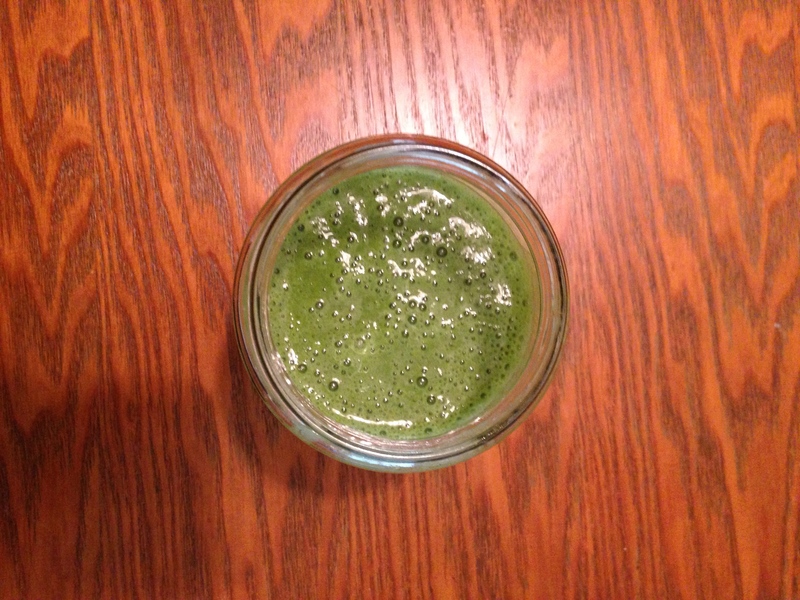 I put spinach, banana, lemon, ginger, and spirulina in this one. 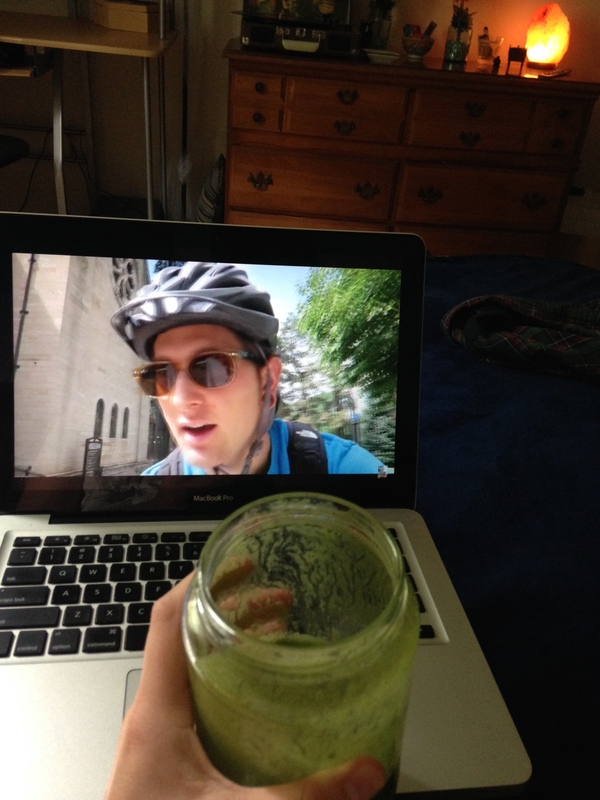 I drank it while watching one of my favorite vegan vloggers, Plantriotic. After a quick relaxing session, I headed back out to volunteer at an awesome program that our dietetics club is helping with. 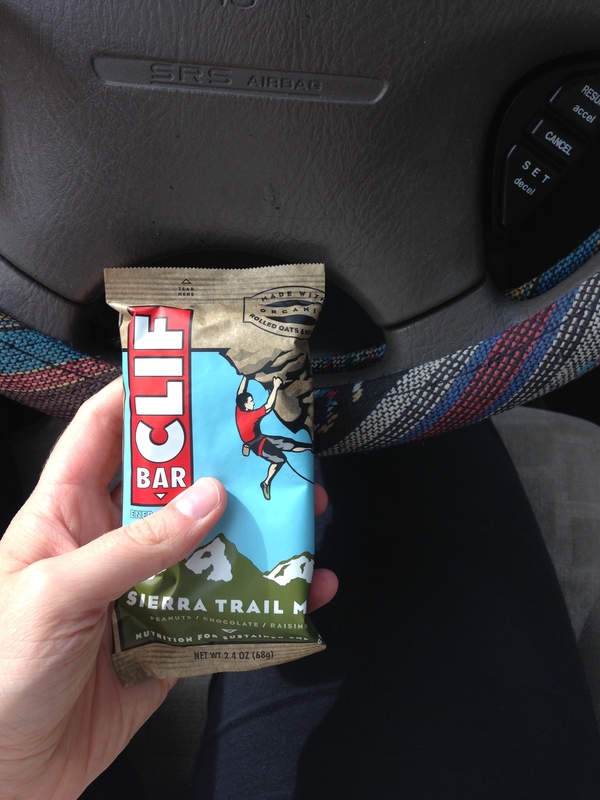 On my way there, I pick up a Clif Bar at Earth Fare to snack on while I drove there. 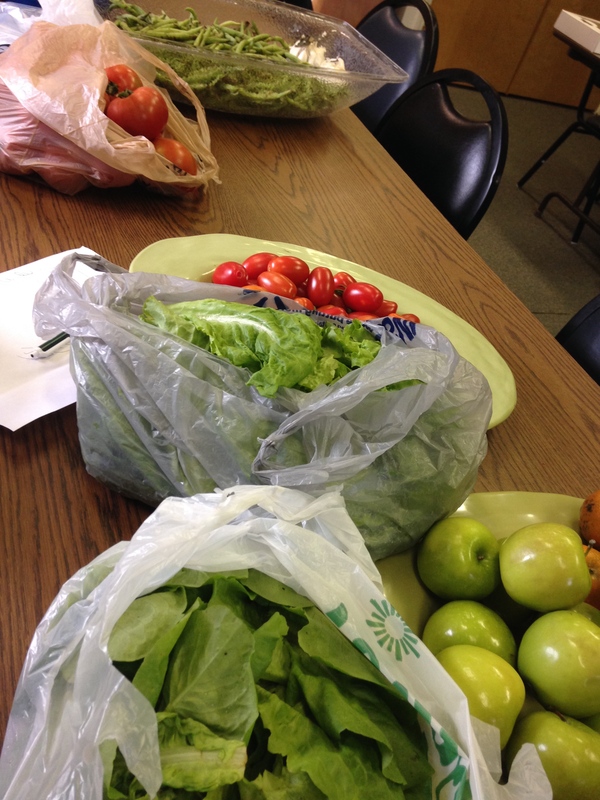 The program is called the Western Watauga Food Outreach Project. It’s a weekly food distribution of donated and locally grown food to people that need it. The location of the project is in a food desert, so it’s a great place for people that can drive twenty minutes to town to get fresh food. 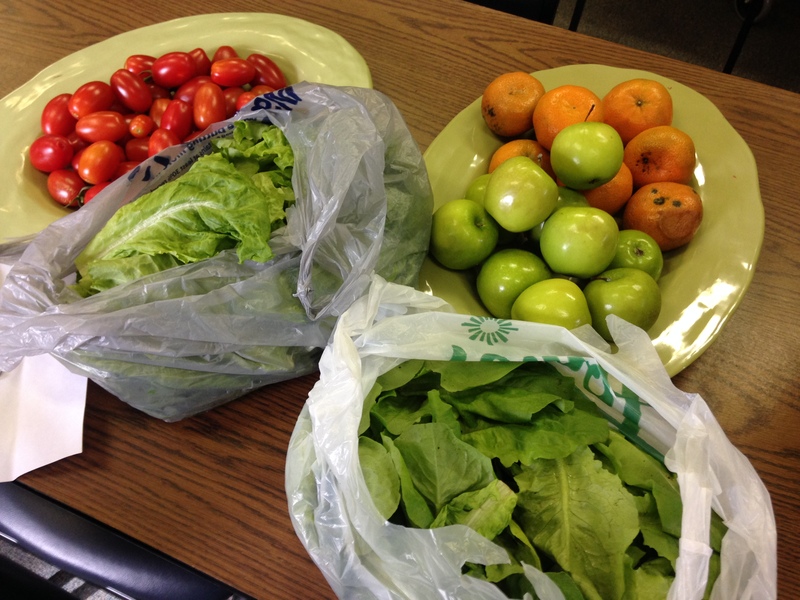 It was so awesome getting to help give out healthy, and fresh food to people that need it. There was tons of donated kale, tomatoes, lettuce, and green beans. Once I got home, I was ready for dinner! 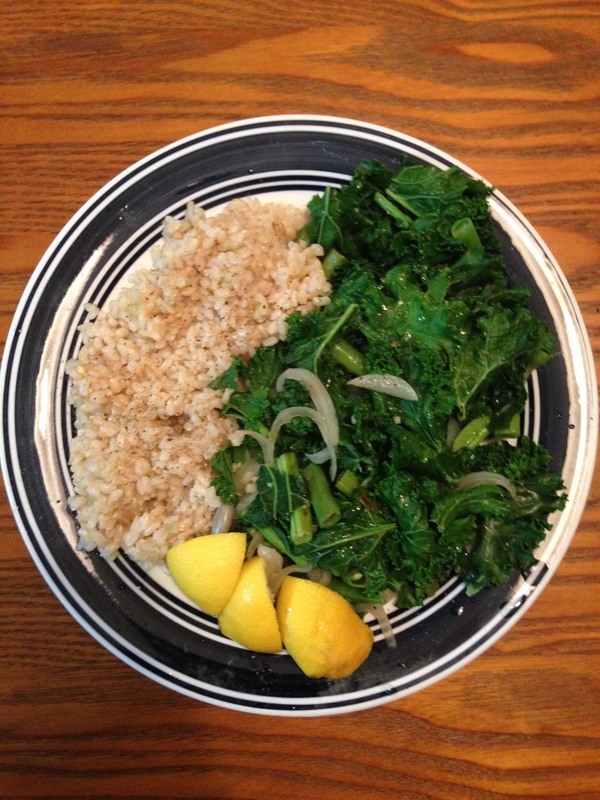 So I made some rice, and paired it with some sautéed kale, onions, garlic, and green beans. I also used some lemons to give it some bonus flavor and boost my iron absorption! Vitamin C helps our bodies absorb iron, so I’m trying to pair up those foods as often as I can, or at least when I remember to! 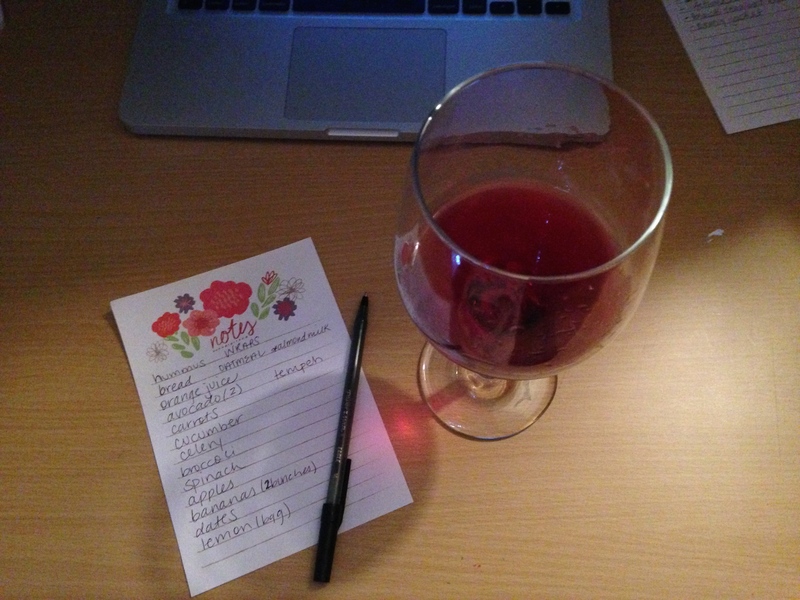 After finishing up dinner, I had a glass of red moscato and wrote out my grocery list for in the morning. Writing grocery lists is one of my favorite things to do, I always look forward to not only going to the grocery store but planning out everything I’ll need for the week (nerd alert!). Maybe this is just something us nutrition majors secretly enjoy, because most of my friends share this love with me..so at least I know I’m not the only college student that finds enjoyment in this simple task. 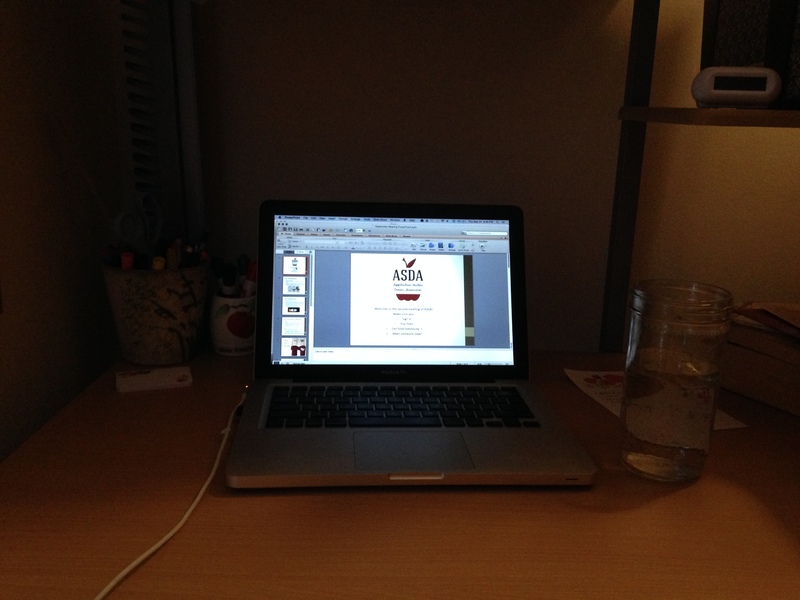 I then spent the rest of the evening working on the powerpoint for our monthly dietetics club meeting. There is always so much stuff happening within our club, a powerpoint is the easiest way to go through it all. I also love making powerpoints (nerd alert!) so it was a great way to spend a Thursday night. Hope you all enjoyed a peek into my day! Your dinner looks super tasty! And thanks for the fun facts about iron! Awww love it!! That’s one heck of a full day. You are so involved and give so much of your time – it really inspires me. I think I often tell myself that since I’m a busy student I have an excuse for not volunteering or being very involved in extra-curriculars but you make me realize that my attitude has me missing out. I hope the test went well! And good luck with all the internship stuff. My province is a bit unique in that our internships are fully integrated so we’re guaranteed a position. Must be a stressful process to have to sort out yourself. I have my fingers crossed that you’ll end up exactly where you should. Thank you! That means so much! 🙂 And I tell myself the same thing, but then once I start volunteering I realize how much I love it and it tends to override the busy student role. 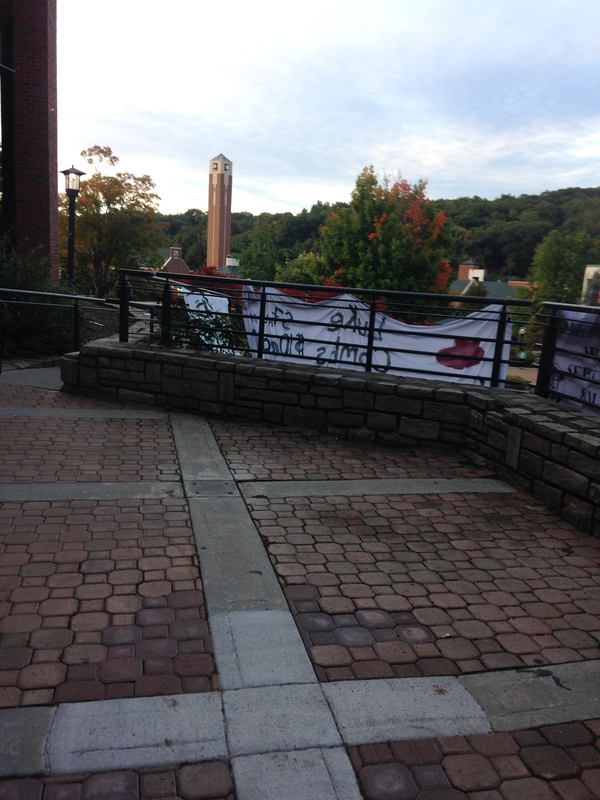 How lucky are you guys to have that all ready to go for you! I wish ours was done that way, but I guess the search and process will be a learning experience! Thanks for all the kind words and encouragement! This was awesome to read! It’s fun to see the classes you’re taking since you are more advanced in the program than I am, and it’s making me super excited for what is to come. I agree with Jacklyn about the internship, that must be really stressful, I wish you all the best of luck. You’re starting quite early so I have no doubt you will find an internship without any problems! I bet you must feel really accomplished after such a busy day, you really do get a lot done and it’s teaching me a thing or two about procrastination haha. This was a great read! 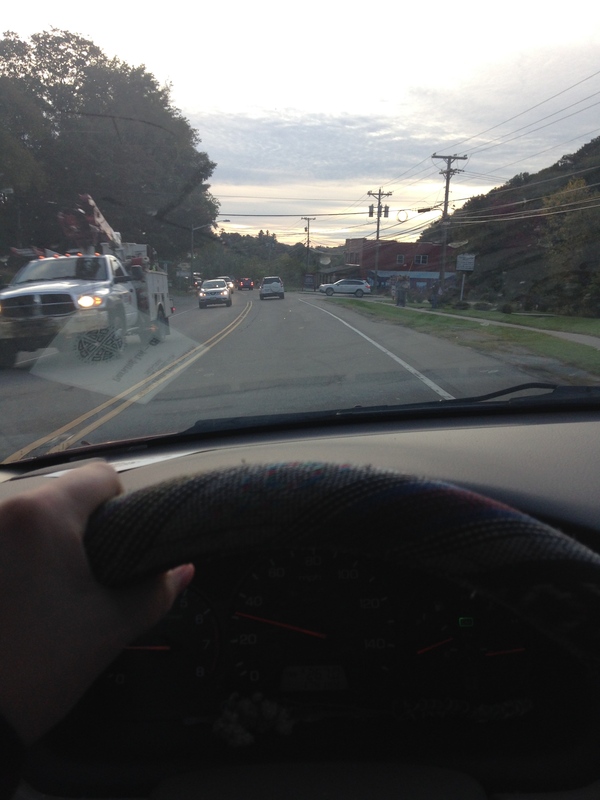 First Jacklyn, now you – I think I should be next to make a “Day in the Life” post! 🙂 Thank you for sharing. I really enjoyed reading about what you typically do, and eat, in a day. The meals look delicious, especially the overnight oats! Thank you! 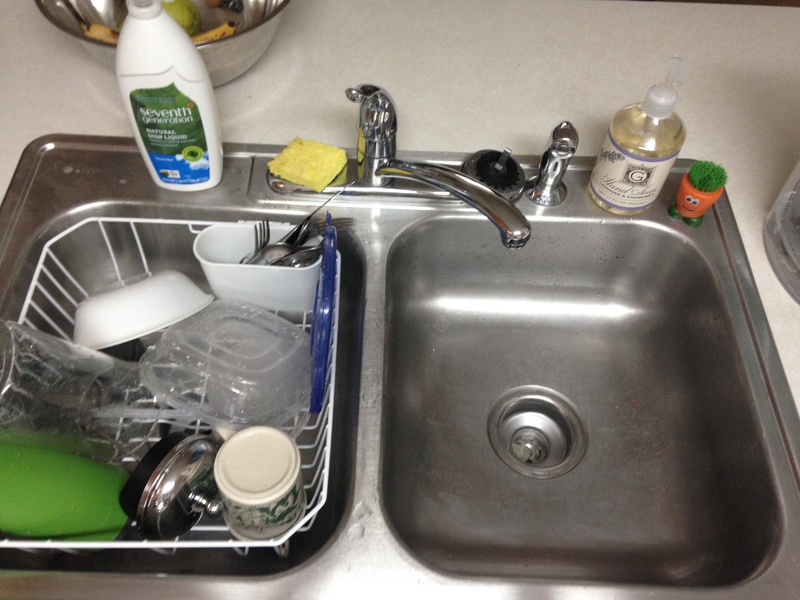 You should definitely write one as well, I love reading other people’s Day In The Life posts! I totally want to! It’s next on my to-do list but I’m about 20 posts behind (seriously have 20 unfinished posts in my Drafts folder), unfortunately. I’m also not sure about snapping pics in my lecture halls! Thank you for the encouragement – I will definitely look for opportunities to make one!